some of the amazing machines he has flown. He will enable you to understand some of the glory and glamour of the aviators’ world. 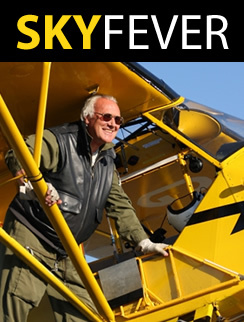 Above all else you will learn much about yourself and if you are really hooked – well, Brendan can teach you to fly– strictly on a one to one basis of course. If you are already a flyer Brendan can provide a personal service to guide you anywhere in the world acting either as a safety pilot in the cockpit or as a lead and follow in our aircraft or yours. If you would like to have the security of a highly experienced pilot with you so that you can spread your wings with confidence then please do make contact. If you have a particular request or your own flying fantasy please contact Brendan direct.